We are really proud to announce our collaboration with Yhdarl for the release of “Loss”, the band’s new full-length album! A duo from Belgium and France fronted by Déhà (Clouds, Maladie and Imber Luminis, among the others) and Larvalis (session for Todesstoss), YHDARL are known for crushing all music boundaries between suicidal, depressive, doom, noise and drone black metal. Larvalis, insane female black metal singer, holds the keyboards and vocal duties; Déhà plays all the instruments, sings and takes care of the professional recordings, mixing and mastering. 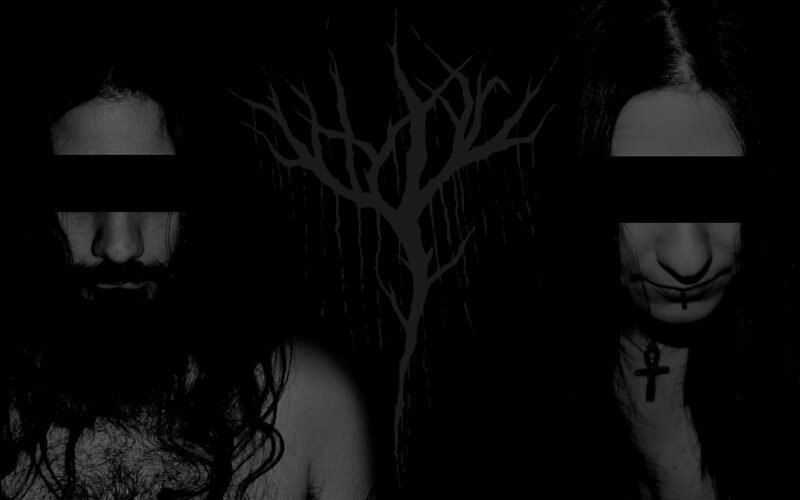 Five years (and five losses) in the making and comprised of 3 long songs topping more than 40 minutes, “Loss” is not another underground release by YHDARL, but a true milestone in their already impressive discography, an extremely violent and aggressive piece of suicidal black metal art showing the duo’s talent and benefitting from the contributions of numerous guests: Old (Drohtnung) on ritual noises, choirs and voices; Daniel Neagoe (Eye Of Solitude, Clouds), Todor Krasimirov and Yavor Dimov (Dimholt) on screaming vocals. A fascinating album cover has been drawn by the illustrious Maxime Taccardi (Artworks) and will soon be revealed together with an excerpt from the album, which is scheduled for a late Summer release.